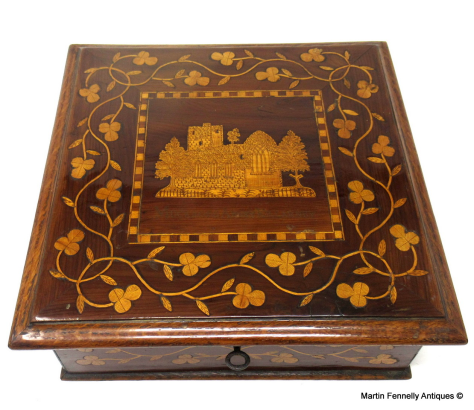 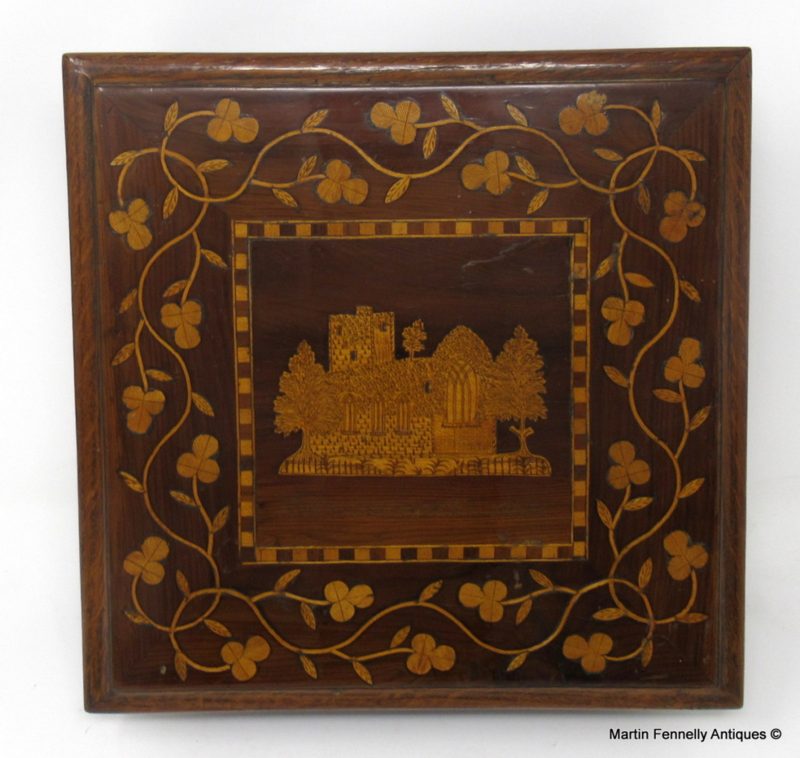 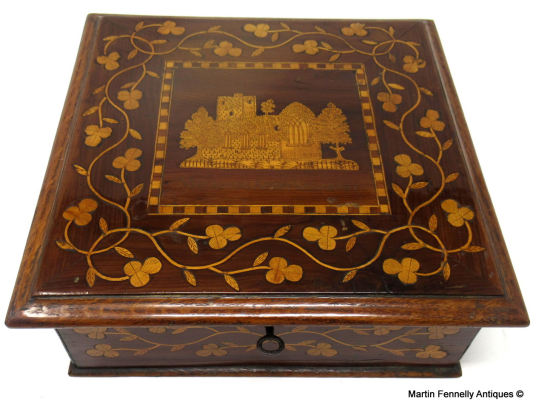 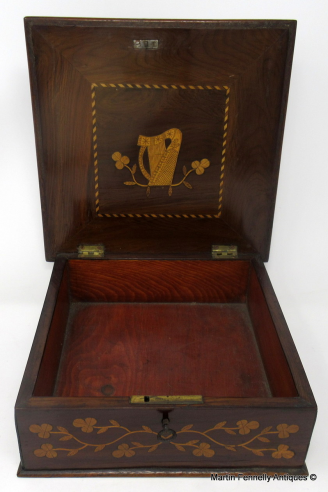 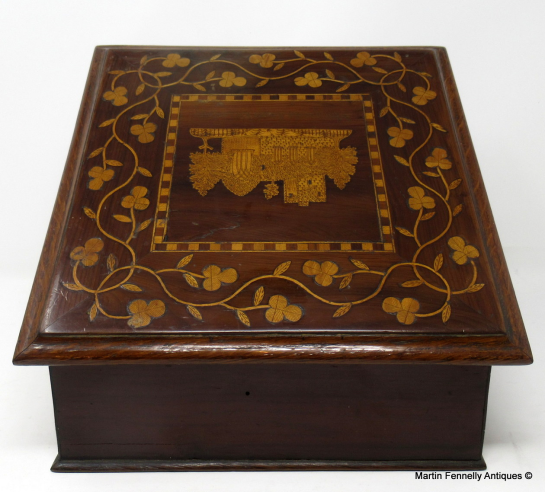 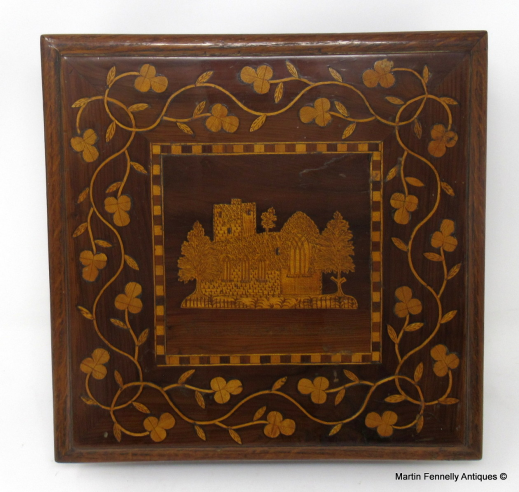 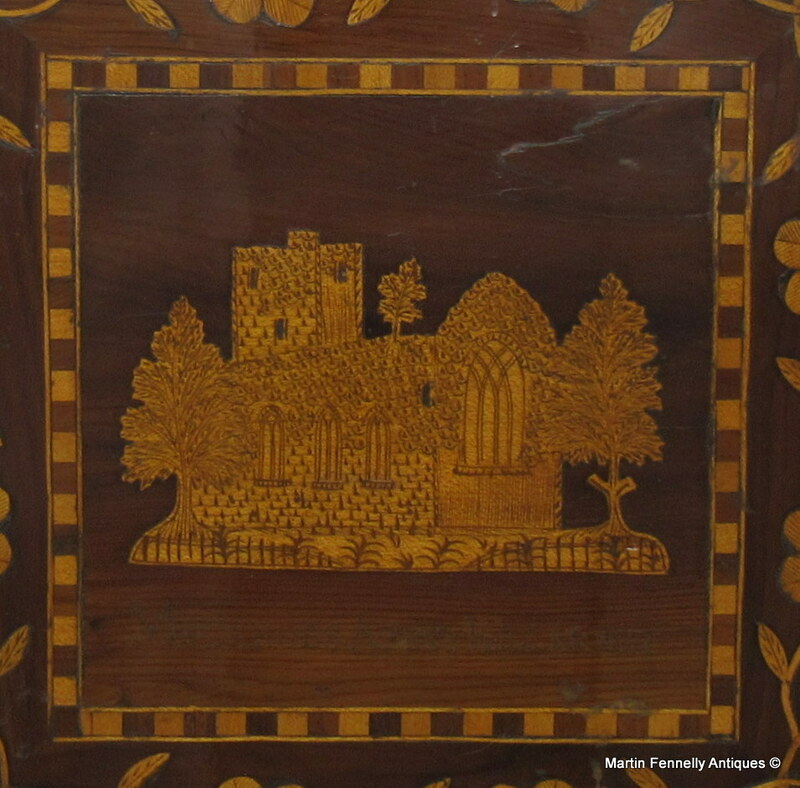 Superb Irish Killarney Ware Arbutus Ladies or Gentleman's Jewellery Casket or Table Box of outstanding quality, complete with original working lock and key. Mid to late Nineteenth Century. 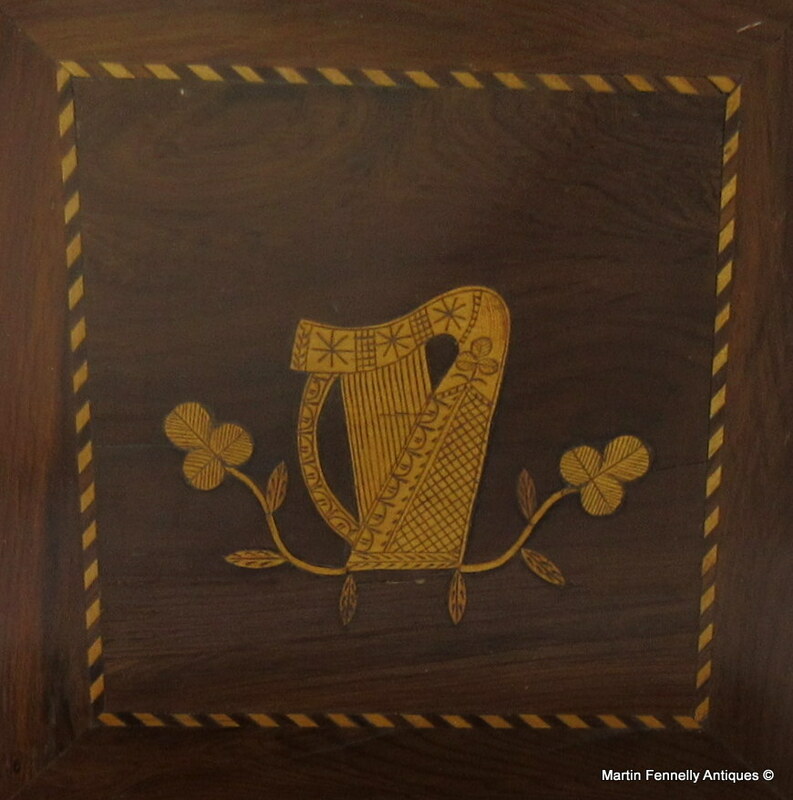 The square form thumb molded hinged cover with a central rectangular reserve with a view of Muckross Abbey surrounded with trailling Shamrock, inside is a view of an Irish Harp. Condition: This piece has been professionally restored, original firm hinges, lock and original key are present and working. Width: 9.5" (23cm). Depth: 9.5" (23cm). 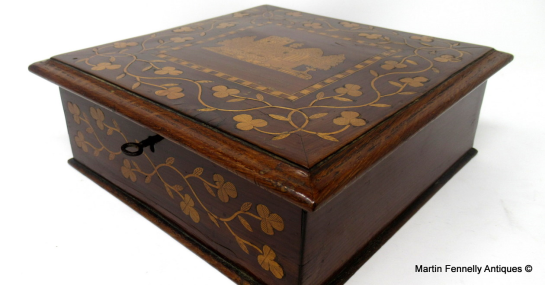 Height: 3" (7.75cm).